The "root" account now comes with a password defined during initialization. This is good news for security, but bad news for how the change was implemented. There is a new way of setting an options file for connection credentials: the mysql_config_editor paired with option --login-path allows users to store encrypted credentials for secure use. Also here, while we should rejoice for the added security, we can't help feeling that the implementation is yet again far from meeting users needs. There is an useful warning (introduced in MySQL 5.6) when using a password on the command line, telling users that it is a risk. Also in this case, we have a usability issue: while users care about their production deployments and use option files to avoid using passwords on the command line, there are, nonetheless, a lot of testing scripts, used in safe environment or with non-valuable data, where a password in the command line was not an issue, and the new warning simply screws up the result of those carefully crafted tests. This change, which can't be overcome without modifying the MySQL clients code, needs users to change their existing tests to adapt to the new behavior. MySQL 8 introduces roles, which simplify the accounts management. There are some minor usability issues, although in general the feature meets expectations. This is the scenario of the main enhancements in MySQL since 5.6. Each one of them has some usability problems, some minor, some really bad. We will first have a look at the problems mentioned above, and then examine the root cause for why they have arisen. 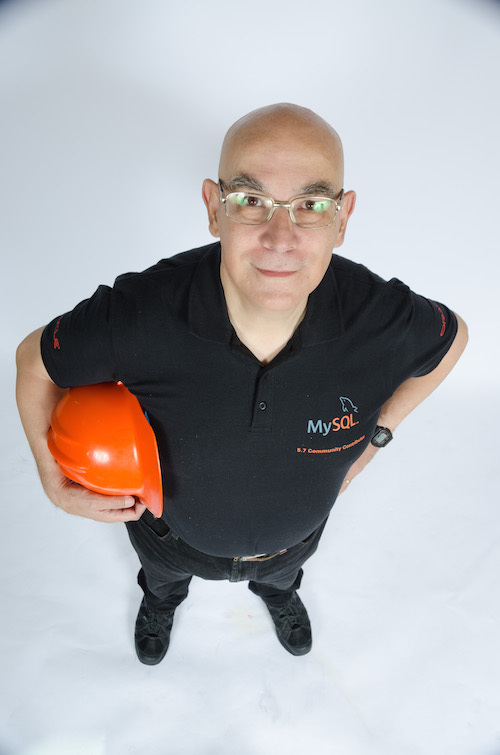 I start by noticing that some developers in the MySQL team have been working there for many years, starting with the time when MySQL was a different database and was used really differently. In those times, managing the database meant that a human (the DBA) would run operations manually, take a look at the result, and adjust when needed. And then, when things went wrong, the same human explored the database system to find out what happened, took action, and went back to sleep. Human-centered management leads to human problems: lazy DBA left their databases without password, using the root account, and exposing the server to uninspired attacks; they used passwords on the command line, without caring for options files (or without knowing about them.) Careless DBAs did not deal with anonymous users, leaving a dangerous backdoor in their server. Some of the new functionalities introduced in the latest MySQL versions are aimed at this type of users: when you install MySQL, you get a message saying: your root password is ************, and the lazy DBAs have no option but to take note and use it. When they use the password on the command line, the annoying warning forces them to start using an options file or the mysql_config_editor. This is all good, but the main problem here is that the DBAs of 10 years ago are on the verge of extinction. They are replaced by a new breed of DBAs who are not lazy, because they can't afford to be, and need to use dozens, hundreds, thousands of databases at once, using configuration management tools that don't require manual intervention, and actually abhor it. In the land of automation, some of the MySQL security enhancements are not seen as a solution, but as new problems. Let's see an interesting example: docker containers. The MYSQL_ROOT_PASSWORD is a directive that becomes an environment variable inside the container, and the server uses it during initialization. As you can imagine, this is not recommended for a secure environment. Then, what's the MySQL team recommendation? They suggest the same strategy used for manual installation: set a directive MYSQL_RANDOM_ROOT_PASSWORD that results in a random password being generated, then collected by the DBA and used. 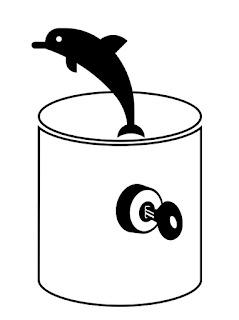 Alternatively, the directive MYSQL_ONETIME_PASSWORD will force the root user to change the password on first connection. The above suggestions were designed with the ancient DBA still in mind, while container deployment is even more automated than VMs, and it is based on the principle of immutable objects, i.e. containers that spring up from the cloud ready to run, with no configuration needed, and especially no configuration that requires someone (or some tool) to extract a new password from a log. I proposed a different solution, that would never show passwords on the command line and while it was implemented, but it still feels like a hack to circumvent an inadequate design. As a result, the implementation inside the MySQL recommended Docker image uses "--initialize-insecure" to start the server. This is an implicit recognition of the bad design of the initialization feature. What was designed to overcome DBA's laziness becomes an obstacle towards automation. We have a similar problem with mysql_config_editor: the tool will create a safe configuration file with credentials for multiple instances, but the password must be inserted manually. Consequently, this potentially useful feature doesn't get adopted, because it would be too difficult or impossible to automate properly. We have seen that, of the security features that were introduced lately, only a few can be used safely in an automated environment, and all of them have at least one small usability quirk. 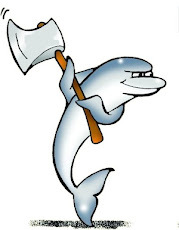 I have talked about a confusing issue related to the removal of anonymous users where in their eagerness of removing the vulnerability the MySQL team removed also the "test" database, which was a consequence, not the cause of the problem. And I have recently talked about roles usability where there are still open problems, like the ability of telling roles from users which are apparently not considered a bug by the MySQL team. All the above considerations led me to ask: how did we get to this point? There is an active community, and feedback is offered often with plenty of detail. How come we have such an abundance of usability issues? Don't the developers spend time with users at conferences to learn what they expect? Don't they read articles and blog posts about how a new feature meets expectations? Don't they talk to customers who have adopted new features? They certainly do. Then, why the usability problems persist? What follows is my observation and speculation on this matter. My experience working with system providers has put me in contact with many users. I have seen that in most cases users are very much protective of their current deployment, because it took them long time to get it right, and they don't upgrade unless they don't have another choice. I've seen users test the newer versions, realize that they would break some of their procedures, and defer the upgrade to better times that never come. I remember last year a user with a not so large set of servers was considering an upgrade to MySQL 5.6, while 5.7 had been GA for two years. The reason was a set of incompatibilities that made the upgrade too difficult. For companies that deal with thousands of servers, the problem is similar, but exacerbated by the quantity of servers to upgrade and the need to do it without stopping operations. This latest requirement has made some users decide not to use GTID, because it required offline time for a master, and they hadn't had time enough to test the upgrade to MySQL 5.7 that would solve that problem. For one reason or the other, many companies upgrade only two or three years after a given version became GA. And this is the main problem: until they use it in production, or at least test the version for a projected upgrade, users can't give valuable feedback, the one that is related to usage in production, and when they do, the version for which they provide feedback has been GA for long time, and can't be changed, while the next one is already close to GA, and as such will be untouchable. The MySQL team gets feedback on a release from a handful of curious users who don't delay testing until the new version is GA, but don't provide the kind of important feedback that get the development team attention, such as deployment in production by large customers. In many cases, large customers are the ones that upgrade several years after GA, and by then their input is difficult to act upon. We have then a curious situation, where the warnings given by the early software explorers are confirmed years later by the users to which the MySQL team listens more closely, but by then the next version of the server is already locked in a release schedule that nobody wants to alter to fix usability issues. How can we solve this problem? Simple: listen to early software explorers and try to fix problems before GA. I hope that with 8.0 we will reach most of your expectations. Keep testing MySQL ! Do you mean that we will have a way of listing roles before 8.0 GA?